As many gamers will have known by now, Resident Evil 7: Biohazard will be released early next year, Jan 24, 2017 to be exact. Promotion material for the game and the massive marketing campaign is already in full swing. 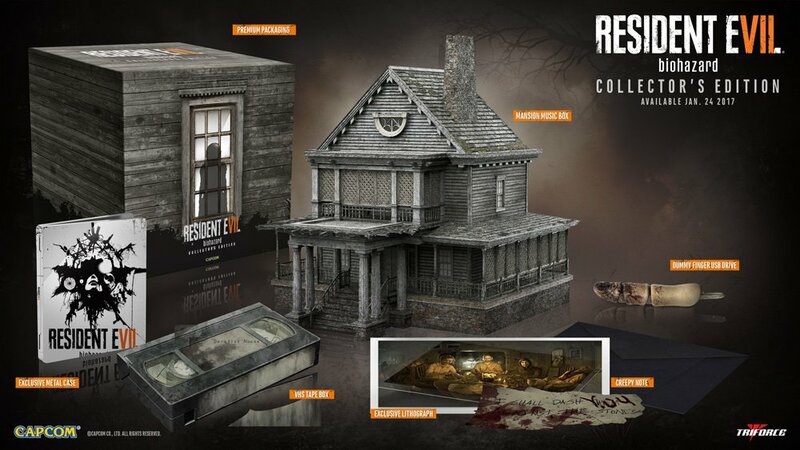 And the swag you get for the eye watering price of 180$USD of the collector’s edition will definitely mean that it is sure to be snapped up and pre-ordered out of exisitence quite quickly. With that in mind, it seemed fitting to take a brief stroll down memory lane. With a game franchise that is pushing 20+ years its gonna be a long lane. Resident Evil, or Biohazard as the original Japanese version of the game was called, was first launched in 1996. It is arguably, the game that gave birth to the survival horror genre that so many cloned in the later years. The survival horror genre sets itself apart with de-emphasized combat mechanics and instead required a lot of puzzle solving and clue gathering to advance the game character. Initially the game creator Shinji Mikami intended the game to be a full 3D first person shooter. But the limitation of the Playstation hardware resulted in numerous decisions to change the gameplay style in order to maintain what Mikami considered a better experience. This changes led to the fixed camera view style of gameplay and also the use of door loading transitions to allow for the loading of the next scenes. Though Mikami considered the fix camera view less desirable for immersion, the trade off was much more detailed backdrops. 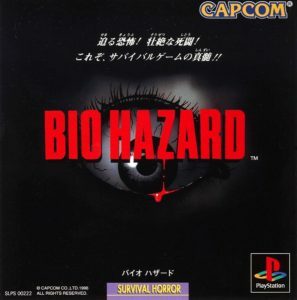 The name of Biohazard was change for the North American release due to licensing and trademark issues. After a internal polling, the name Resident Evil was chosen. Resident, because of the mansion that the first game takes place in. Interesting to note that Resident Evil 7 will be subtitled as Biohazard, looks like they have come full circle. 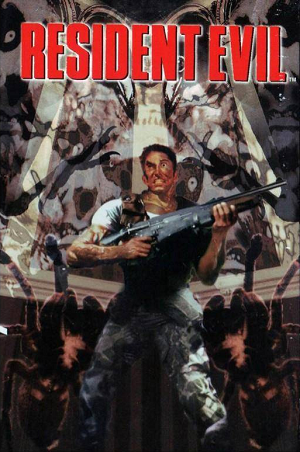 Even with an edited opening sequence, Resident Evil was the first game to get a Mature Rating from the ESRB. The game upon release was a critical and commercial success. Far out selling Mikami’s original expectation of 200,000 copies. It has since spawned 6 squeals and numerous spin off titles. And from its original Playstation roots to expanding to all other platforms and 6 feature length movies, it has successfully created a legacy that, just like a zombie, will not easily die and will live on. With the hype surrounding the PSVR (RE7 will be an exclusive VR title), and what we saw at E3, everyone is waiting with their brown pants for what seems so far, to be an incredibly fear inducing experience.